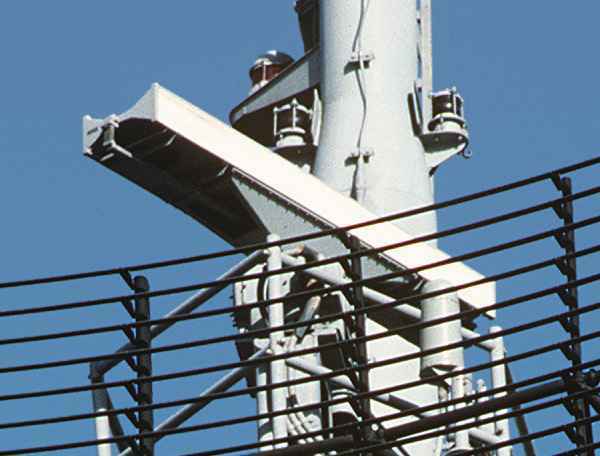 AN/SPS-55 is an naval surface search and navigation radar that operate in X-Band (an alternate version in C-Band is named to as AN/SPS-502). 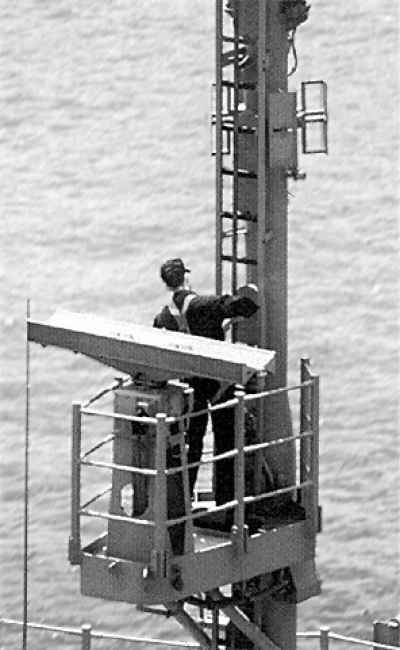 The AN/SPS-55 was designed to be a solid state replacement for the AN/SPS-10 surface search radar. It incorporates a low-noise, image-reject mixer and features two slotted array antennas mounted back-to-back with an absolute gain of 31 dB at midband. One antenna is circularly polarized and the other is linear-horizontally polarized. Each antenna forms a fan beam that is narrow in the azimuth plane (1.4 degrees) and moderately broad in the elevation plane (20 degrees). The transmitter uses a magnetron which can operate with two different pulse repetition frequencies and pulse durations as long as the duty cycle remains constant. Over 200 radar sets have been produced for worldwide use.